An alarming study has been revealed which suggests that soldiers in a German army guard battalion that performs in major state ceremonies are growing breasts - as a side effect of military drills. The study, carried out by plastic and hand surgeons at the Bundeswehr hospital in Berlin, found that the guards were at greater risk of developing a condition called gynaecomastia, or an enlargement of the mammary gland, on the left side, the Hamburger Morgenpost newspaper reported on Friday. Though gynaecomastia is usually a hormonal condition, the study found that serving in the guard battalion can also be a cause, because it requires soldiers to repeatedly slam their rifles into the left side of their chest during military drills. Of the 211 gynaecomastia patients examined, doctors found that 35 came from the battalion, which appears at official events such as state visits and the "Great Tattoo" ceremonies for outgoing German presidents. Of these 35 soldiers, 26 showed breast growth on the left side of their chests - an unusually high proportion for any sample of gynaecomastia cases. According to the study, led by hospital department head Professor Björn Krapohl, there was "a highly significant correlation between the activities of a guard and left-sided gynaecomastia." Krapohl also said that the correlation had been noticed as long ago as 2009, and that he had been lobbying for the "rifle-chest-slam" to be stopped since then. The German army confirmed that the study results had been passed on to the Defence Ministry. "The soldiers affected are being treated medically and are receiving individual therapy," a spokesman said, before adding that more studies should be carried out. The battalion consists of nine companies, seven of which are stationed in Berlin. It is considered one of the plum appointments in the German army. If an asteroid were headed for Earth, we'd all band together and figure out how to stop it, just like in the movies, right? And yet, when faced with major, data-supported, end-of-the-world problems in real life, too often we retreat into partisan shouting and stalemate. Jonathan Haidt shows us a few of the very real asteroids headed our way -- some pet causes of the left wing, some of the right -- and suggests how both wings could work together productively to benefit humanity as a whole. Артемий Трегубенко: «Optimistic and a bit Tarantino-style crazy action movie. are you familiar with the old robot saying "does not compute"? кажется, первым сайтом, на который я выкладывал свои фотографии, была PicasaWeb от гугла. В качество фотохостинга она была неплоха, хотя не могу сказать, что она мне очень нравилась: постоянные напоминания, что оперу они не поддерживают, тормоза при загрузке и прочие мелочи. Однако это было ещё ничего до тех пор, пока не пришёл Google+ и не пожрал пикасу: тут тормоза стали гораздо заметнее. А раз это веб-приложение, а я — веб-разработчик, конечно же, я решил сделать для себя лучше. И в конце концов сделал. теперь мои фотографии будут на photos.arty.name. Это кучка статических файлов, есть они не просят, бекапятся легко. Галерея сразу включает полноэкранный режим без всего лишнего, управляется с клавиатуры и колесом мышки, можно давать ссылки на конкретную фотографию — ровно то, что мне нужно. North Korean leader Kim Jong Un is looking to Germany for advice on how to attract international investment to his isolated dictatorship in 2013, a newspaper reported on Saturday. The secretive Communist dictatorship of North Korea is planning to open up its economy for foreign investment this year - with the help of German business experts and lawyers, according to a report in the Frankfurter Allgemeine Zeitung. "There's a master plan," one unnamed German business expert and university lecturer told the paper. "They want to open up this year." The report says a team of German lawyers and economic experts are involved in concrete plans to alter North Korean law to welcome investors into the country, which has been isolated from the global community since the Second World War. In his New Year address Kim Jong Un announced radical changes intended to transform the backward nation into an "economic giant" and raise living standards for the North Korean population, which frequently suffers severe food shortages and power outages. The strategy is likely to be based on the Vietnamese model of selecting individual businesses to invest in the country, the expert told the paper, rather than the Chinese model of targeting specific economic zones for foreign investment. The news that German advice is being sought in Pyongyang comes amid a row in the US over plans recently announced by Google's Chief Executive Officer Eric Schmidt to visit North Korea on what he claims is a private trip. Артемий Трегубенко: «A gifted teenager checked himself into asylum and there he proved himself to be a good guy. Артемий Трегубенко: «This is a movie by Seagal and it fulfills the expectations: simple unpretentious action, this time in a prison. In a single year, there are 200-300 million cases of malaria and 50-100 million cases of dengue fever worldwide. So: Why haven't we found a way to effectively kill mosquitoes yet? Hadyn Parry presents a fascinating solution: genetically engineering male mosquitoes to make them sterile, and releasing the insects into the wild, to cut down on disease-carrying species. A mysterious countdown with the text "so close you can almost touch it" was posted on the ubuntu.com and the countdown has just expired, but unfortunately the website went down leaving the users wondering what that was about. Update: the website is up, but there isn't too much information. 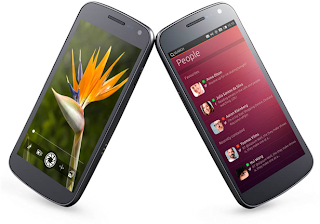 However, it's important to note that right now, Canonical tries to find manufacturers to ship with Ubuntu for phones, so there's not an actual phone, but only the platform. Ubuntu phones aren’t yet available for purchase, but we are ready to start working with partners with an aim to releasing phones before the end of 2013. You can see Ubuntu for phones demonstrated at the Ubuntu booth at CES next week and we’ll be showing it again at MWC in Barcelona in February. According to the Canonical blog, Ubuntu for phones will make use of the installable web apps available in Ubuntu 12.10. Also, the announcement says there's a QML-based Ubuntu SDK that developers can use to create native apps that work both on the desktop and the phone and then deliver then in the Ubuntu Software Center. Note: this post is currently being updated!